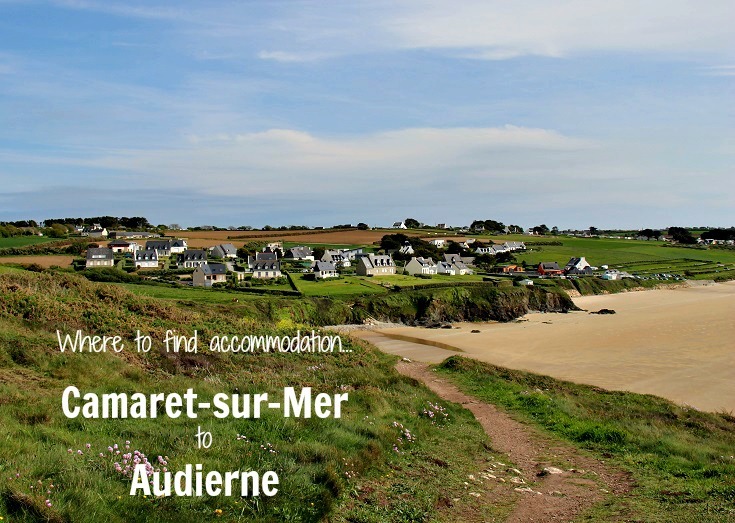 From rugged headlands and dramatic cliffs, to swathes of dancing wildflowers, wide sandy beaches and quaint fishing ports—this 160-kilometre (100-mile) walk from Camaret-sur-Mer to Audierne along the coast of Brittany has it all! During my initial research for this walk, I found that some Tourist Office websites described the GR 34 path as being dangerous in many places. As someone with a poor sense of balance, who is not good at clambering up rock faces, this news was a little disconcerting to me. 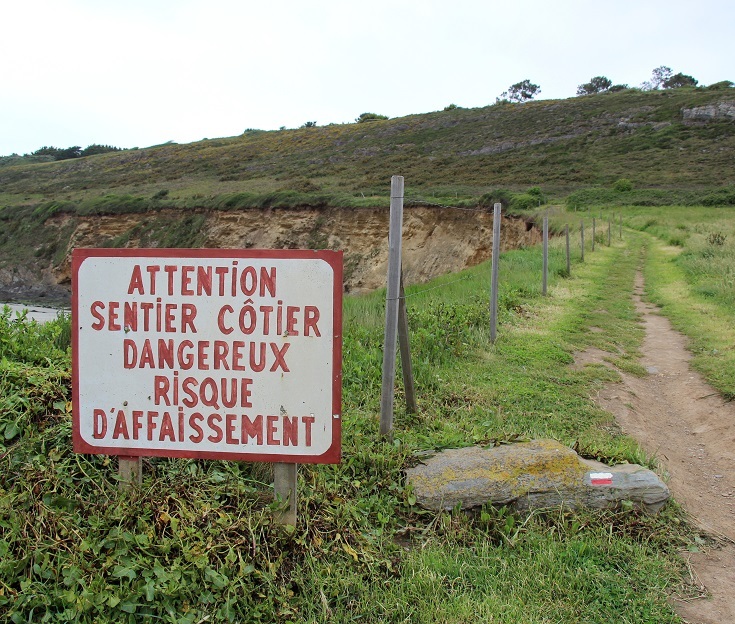 What, exactly, made the path dangerous, I wondered? Was I likely to fall off a cliff? Or would I find myself having to sidle along narrow ledges, high above the ocean? With this in mind, I decided that rather than walking the path alone from one end to the other, I would take a car to which I could retreat if the going got tough, and just do a LOT of walking. 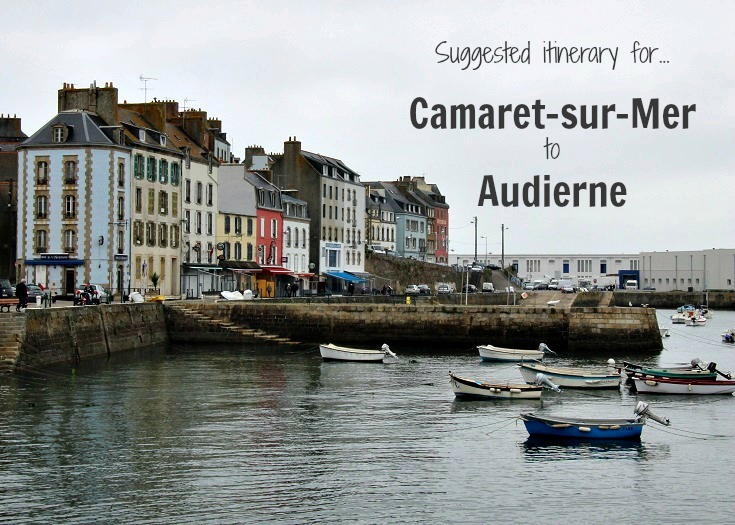 My verdict on the section from Camaret-sur-Mer to Audierne? Most of this walk follows a gentle route—there is very little strenuous climbing and, on a sunny day with a gentle breeze, I would rate this (and continuing along the GR 34 to Lorient) as my favourite walk in France! Many times during my journey, I found myself sitting on a rock, admiring the view—unable to believe the world could be this beautiful! However, there were sections of the walk where I needed to put away the camera and pay closer attention to what I was doing. In high winds or driving rain, this walk would be beyond my skill and experience level and I would need to take a taxi to reach my accommodation for the night. And, while I never felt in danger of falling into the ocean, I was aware that if I twisted an ankle, it might have been difficult to get help or make my way back to town. Of course, walking with a group will mitigate this risk. 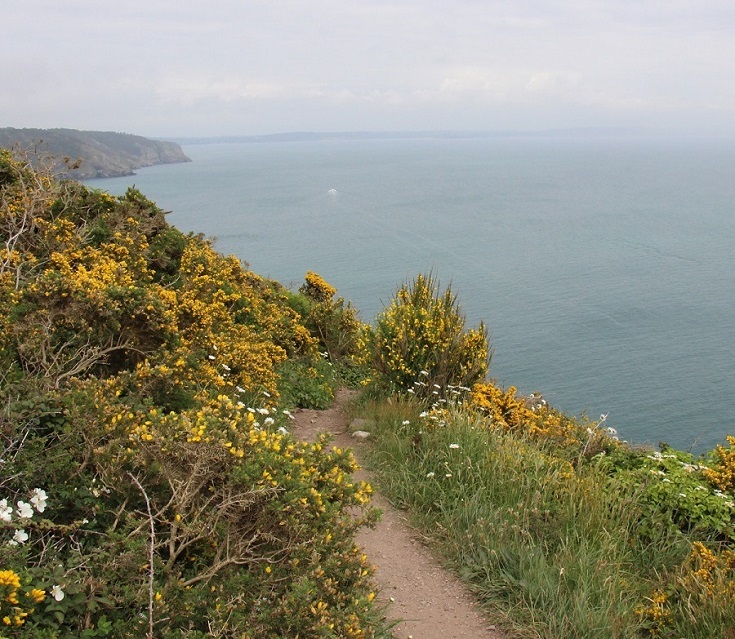 Many sections of this walk are unsuitable for anyone with a fear of heights, as the path often skirts close enough to the edge of the coast that there is simply no denying that you are, indeed, a long way up! The perfect way to approach this walk is to carry a tent, check the weather each day and walk as far or as little as feels comfortable. Campgrounds are plentiful but, during the peak summer period of July and August, it is advisable to phone ahead each morning and secure a campsite. If you are an experienced—and sure-footed—walker, I can think of no more glorious way to spend a week or two! When is the best time of year to visit Brittany? 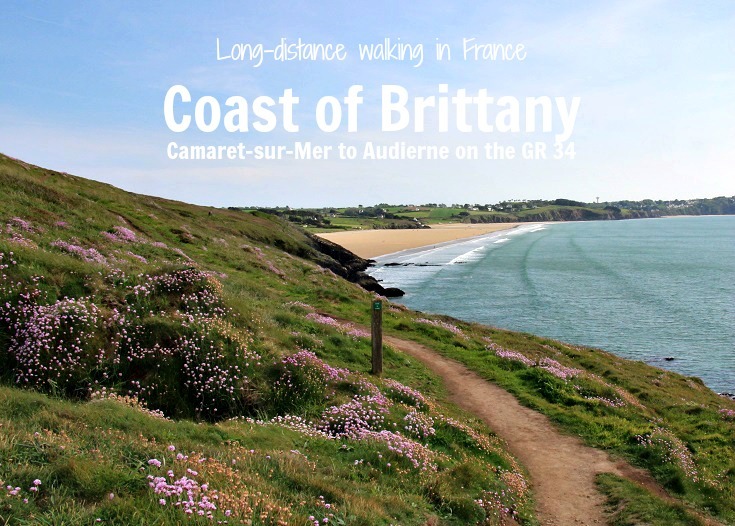 Brittany is a holidaymakers’ paradise—you’ll find that you are never very far from a campground, sailing or surf school and I imagine that, during the summer months, campsites will be hard to find unless you book in advance. When I visited in May, it was much quieter—the weather was quite unpredictable (as is often the case during spring in France) and on weekdays, I was mostly alone on the path. Sunday afternoons, however, were a different story and I found myself sharing the path with hundreds of others—and their dogs—who clearly did not suffer from my balance limitations! The best time to visit Brittany, in my opinion, is early September just after the school holidays finish. The summer crowds have returned home, museums and other attractions are still open throughout the day (although likely to close for lunch) and the weather will most likely be mild and sunny. 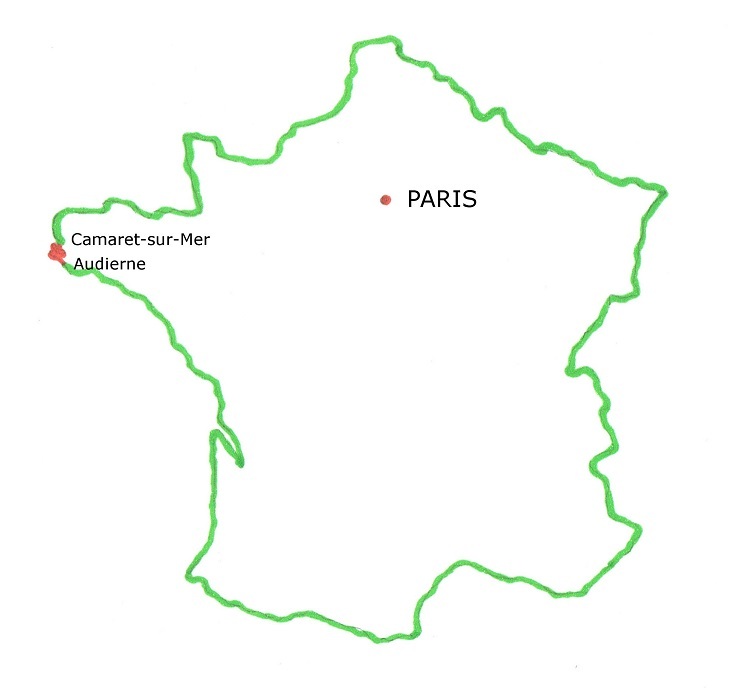 My first thought when planning this walk was to start in le Faou, follow the GR 34 to Landévennec and on through the villages of Lanvéoc and le Fret—reaching Camaret-sur-Mer some sixty kilometres (38 miles) later. While le Faou and Abbaye de Landévennec were delightful and I thoroughly recommend you visit both, I found this section of the GR 34 less inspiring. 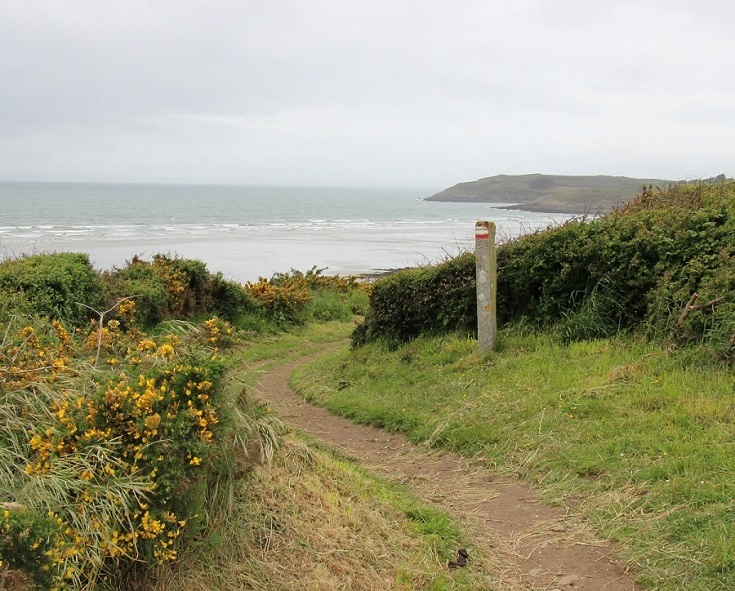 For much of the way, the path is set a little way back from the coastline or high above the waterline and views of the ocean are blocked by thick shrubby vegetation. I found the going tedious with not enough highlights to warrant three days of walking. 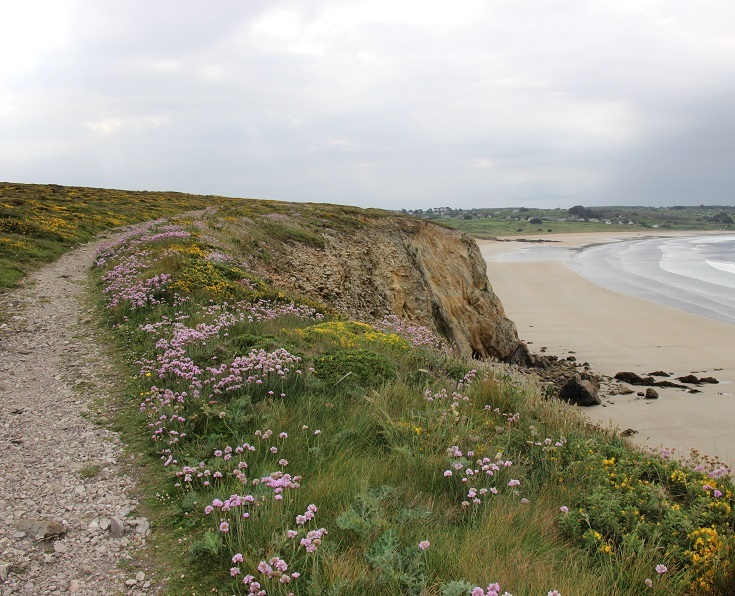 A few kilometres before reaching Camaret-sur-Mer, the GR 34 joins the coastline and the vegetation disappears. From here the views are spectacular and this is where I recommend starting your walk. 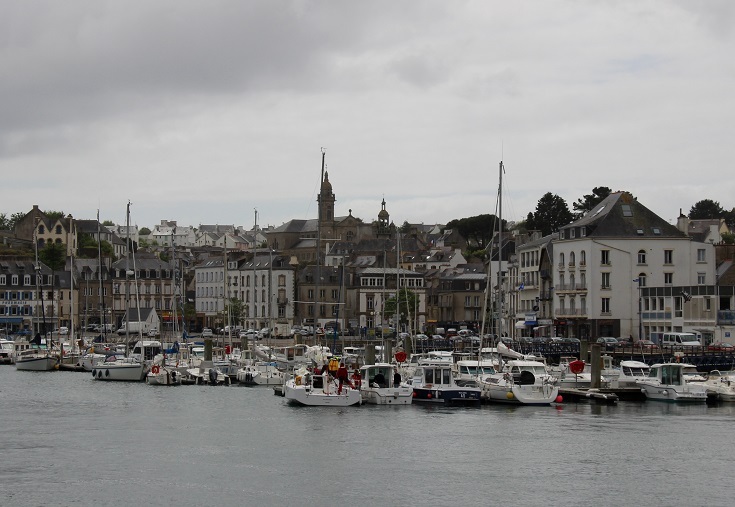 Bus line 34 runs from Brest to le Faou and then on to Landévennec and Camaret-sur-Mer. 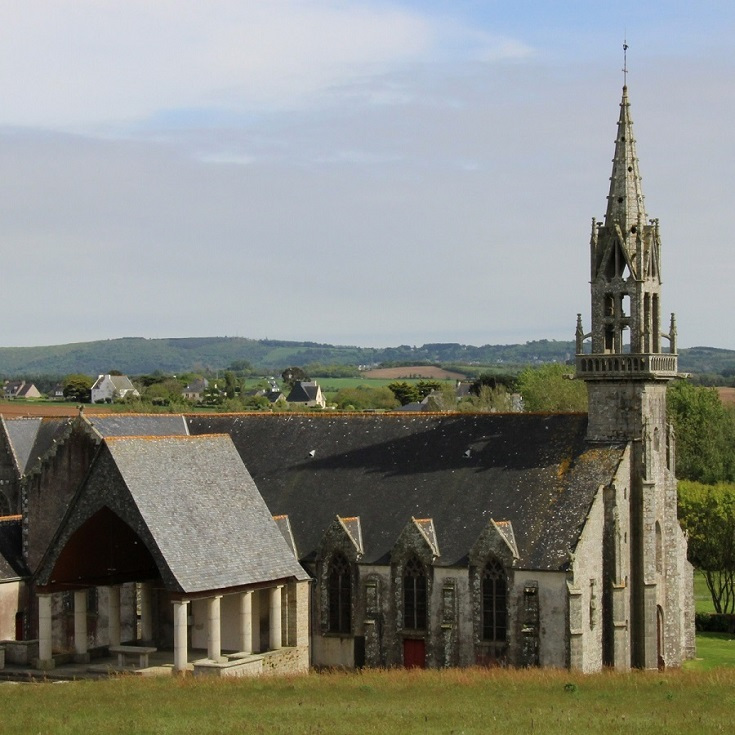 On Tuesday and Thursday, the bus makes an additional mid-day run and it is possible to visit le Faou in the morning and the abbey in the afternoon before catching the last bus to Camaret-sur-Mer. On other days of the week, a taxi will take you from le Faou to Landévennec. What will you see in le Faou and Landévennec? Le Faou is a picturesque village at the mouth of the Faou River. 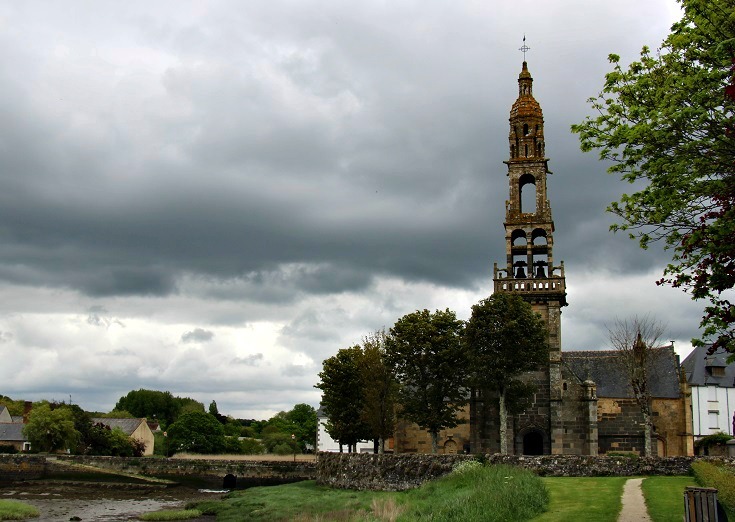 Overlooking the water is the sixteenth-century church dedicated to Saint-Sauveur and a little further along the main road, a stone arch built in 1695 marks the entrance to the old cemetery. On Friday morning, local producers set up stalls along the quay where you’ll find seasonal fruits and vegetables and home-made cheeses, yoghurt and jams. At the time of my visit (in May 2015), the le Faou was listed among France’s ‘most beautiful villages’ and it did not disappoint. From the colourful shutters to the flower-filled gardens, the village oozed with charm. From le Faou, the GR 34 heads west past the Cimetière des Navires (where French naval ships are laid to rest) and on to Landévennec. Built in the fifth century by Saint-Guénolé and his followers, the monastery is believed to be the oldest in Brittany. A community of monks prospered here until 913 AD when the village was raided by Vikings and the monks fled. They returned several decades later, restoring the monastery and building additional housing for the monks. 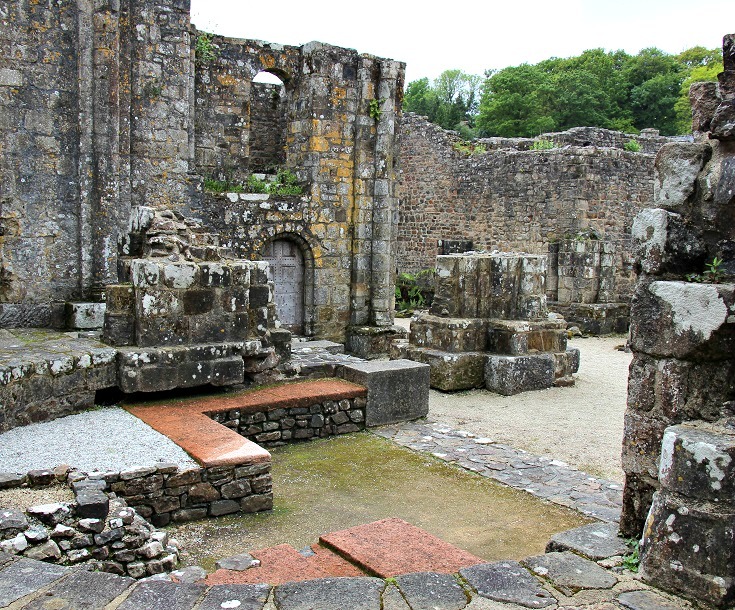 The abbey was sold during the French Revolution and the monks disbanded. For a time, the site was used as a stone quarry but recent archaeological excavations have revealed the foundations of many of the tenth-century buildings. Little more than an outline remains of the original buildings but the decapitated pillars of the abbey church evoke the grandeur of this ancient place of worship. 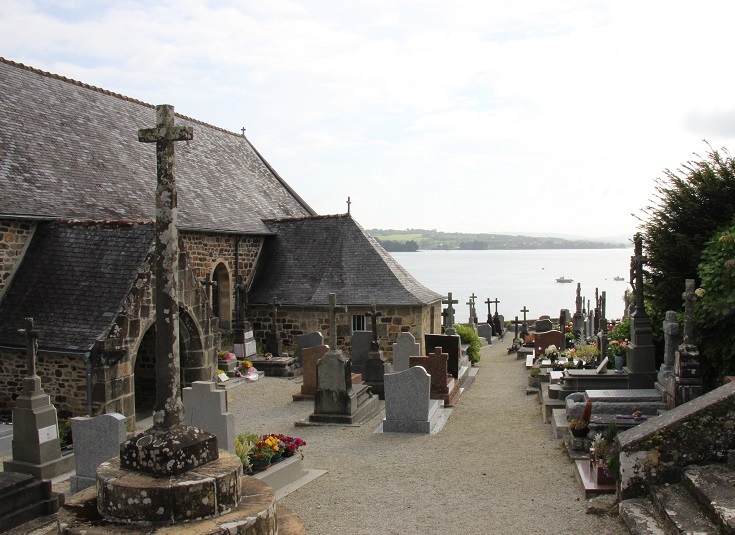 Add an hour to your stay in Landévennec to wander the streets of the village and visit the parish church and cemetery on the water’s edge. 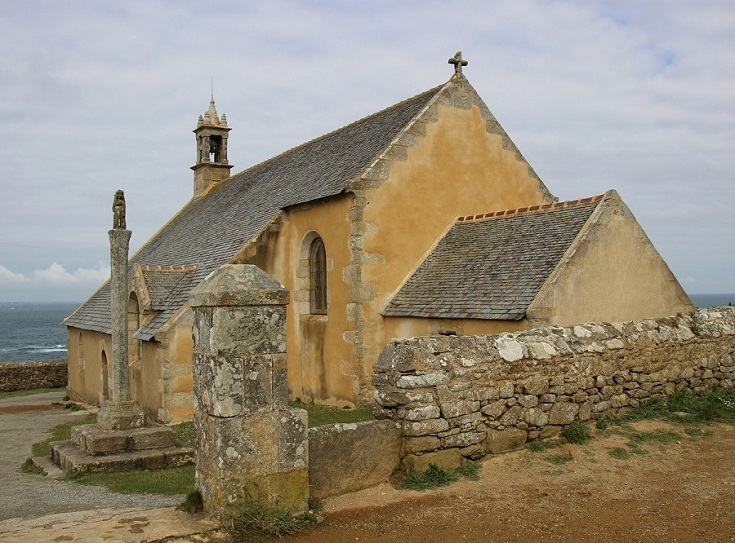 In hundreds of villages throughout Brittany, one weekend each year is dedicated to observing the pardon. A centuries-old tradition long abandoned in other parts of France, the pardon is held to honour the patron saint of the parish and ask for his or her blessing. Villagers dress in traditional costumes and parade through the town, carrying a statue or cross before returning to the church to celebrate Mass. 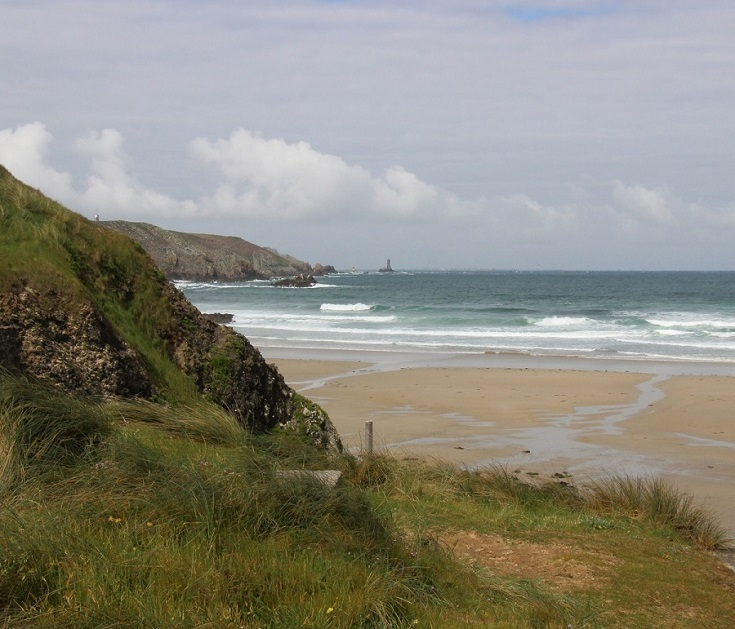 Between Camaret-sur-Mer and Audierne, a walk along the GR 34 offers two opportunities to enjoy this unique Breton festival. The Pardon of Saint-Anne is one of the most important in Brittany and has been held every year since 1549. Celebrations begin on the last Saturday in August and continue over the next three days. 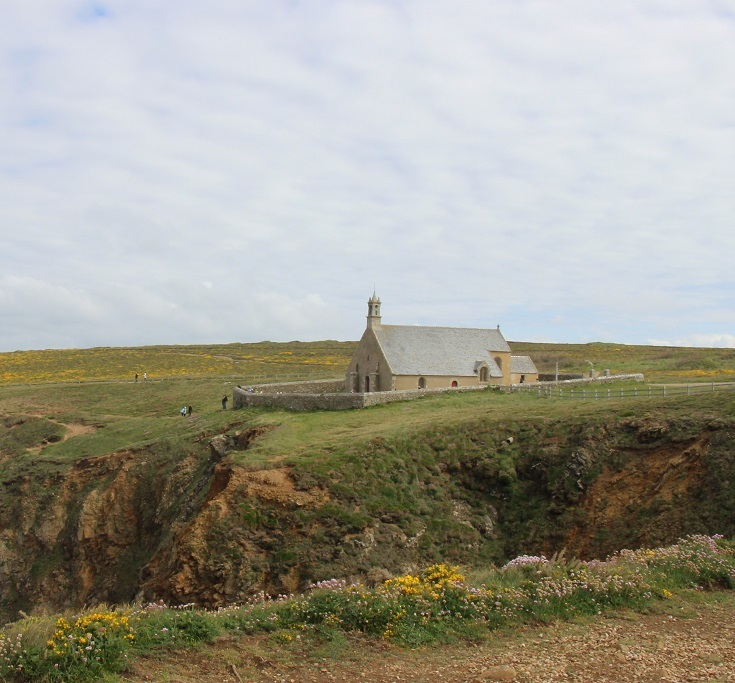 Further along the coast towards Pointe de Raz, a small chapel dedicated to Saint-They sits high on the cliff top. The chapel is classified as an historic monument and is normally closed to the public. But on the first Sunday in July, the doors are opened for the celebration of the Pardon of Saint-They. Festivities begin with a small flotilla of boats off the coast at le Vorlen. From there the cross is carried north along the cliffs to the chapel. If your walk coincides with either festival, it is wise to book accommodation well in advance as competition for a bed or a campsite will be fierce. There are limited opportunities to visit local markets as you follow the GR 34 along the coastline. 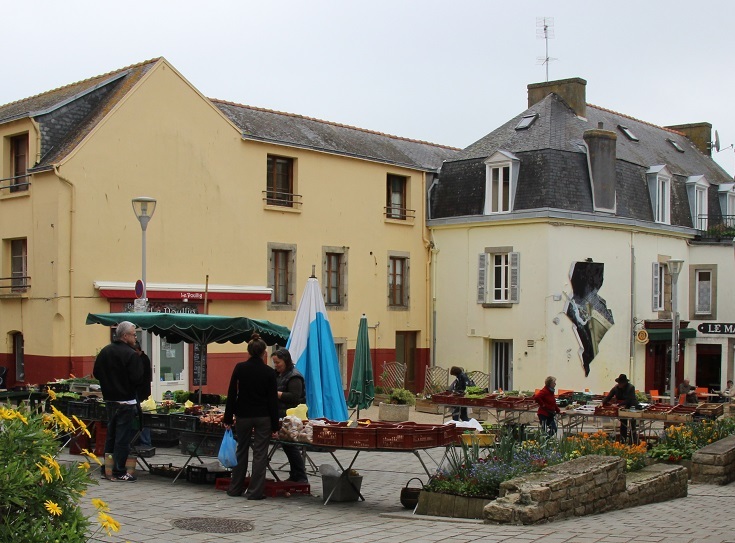 Between Camaret-sur-Mer and Audierne, the path visits only four towns—Camaret-sur-Mer, Morgat, Douarnenez and Audierne—large enough to offer a full range of services such as a grocery store, ATM, pharmacy—and a weekly market. From the Tourist Office, head west towards the port and out along the peninsula. On the way, you’ll pass the Maritime Museum, a collection of abandoned boats left to decay in the Cimetière des Bateaux and the seventeenth-century Chapelle de Notre-Dame de Rocamadour before arriving at the fortified Tour de Vauban. Like many port towns in Brittany that were badly damaged during WWII, the seaside resort of Morgat consists mostly of colourful concrete buildings constructed over the last sixty years. Although lacking the quaint historic charm of many villages, it offers several opportunities to relax over a cup coffee or enjoy a cold drink overlooking the water. In a clearing in the woods as you approach Douarnenez are the remains of buildings, believed to have been built by the Romans sometime between the first and fourth centuries AD. These buildings form part of a complex where the local sardine catch was processed—an industry has continued here for almost 2,000 years. When you reach town, call in to the Tourist Office, ask for a map (or download one here), and take a self-guided walk past seventeen of the town’s most important historic sites (plaques located at each site provide more information). If you prefer a more in-depth visit, sign up for one of the guided tours provided by the Tourist Office. The most westerly point in mainland France, Pointe du Raz was one of the first areas to be awarded Grand Site de France status, providing protection to 2,000 hectares of land around the peninsular. Inside the Information Centre, you’ll find models and displays explaining the diversity and history of the area. A twenty-minute film runs throughout the day highlighting the joys and struggles of daily life as experienced by villagers living on Île de Sein—a small island located eight kilometres (five miles) due west of the point. If the stories capture your imagination, it’s possible to visit the island at the end of your walk on the ferry which leaves daily from Saint-Evette near Trescadec. Although grey and gloomy at the time of my visit, Audierne is a beautiful port town and well worth spending an hour or two exploring. Ask at the Tourist Office for a map which suggest a 45-minute walk around town, passing several historic sites before climbing the hill for spectacular views over the port. If you are inspired to walk this stunningly beautiful part of France but suspect it might be more challenging than you’d like, FFRandonnée publishes two TopoGuides, packed with short circular walks, which might be a good compromise. Réf. 293 La presqu’île de Crozon et la vallée de l’Aulne offers fifteen walks along the coast between Camaret-sur-Mer and Douarnenez (and several more inland and further north). Réf. 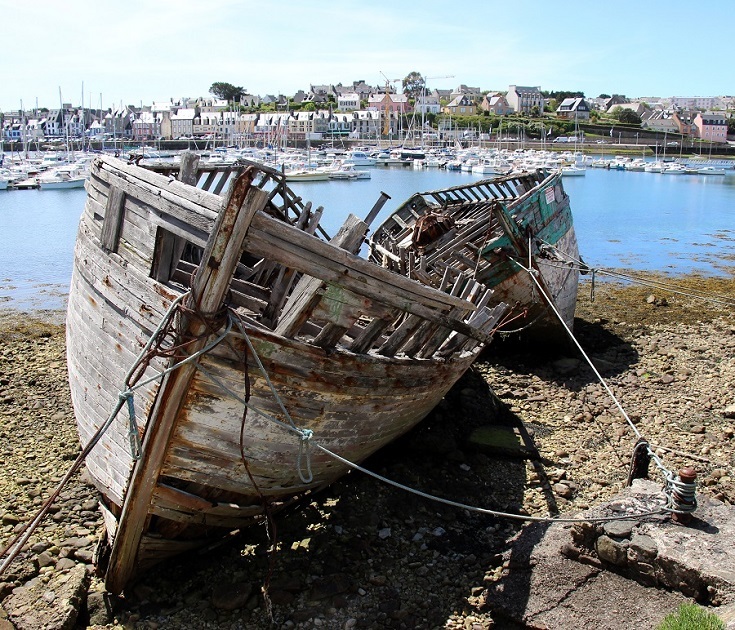 294 Pays Bigouden, Pays de Douarnenez et Cap Sizun offers fourteen walks between Douarnenez and Audierne (and almost forty more continuing along the coast). And if you can ride a bike (which I can’t), Vélo Route 5 follows quite close to the coast (map is shown on page 11 of the Vélo Route 5 download), allowing easy access to the GR 34 and the short walks described in the TopoGuides. I am usually happy to walk between twenty and twenty-five kilometres (12.5 to 15 miles) each day, with the occasional longer day of thirty kilometres (19 miles) when necessary. But a few very blustery days and threatening skies on this exposed, and sometimes narrow, track convinced me to slow down—and to not do this walk alone. This is a walk best taken carefully, without the daily pressure of needing to complete a lot of kilometres. Bad weather will make your days challenging, rather than just miserable, and for this reason, many of my suggested days are shorter than my usual recommendations. My suggested itinerary assumes that you are not carrying a tent and will stop only where hotel or chambre d’hôte accommodation is available. 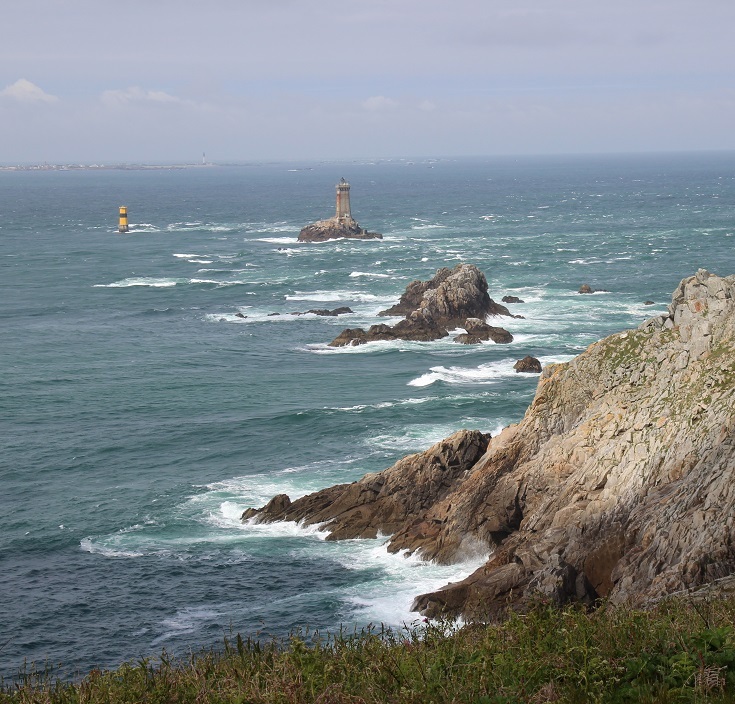 I have spread this walk of 159 kilometres (99 miles) over eleven days, which allows plenty of time to visit the Information Centre at Pointe du Raz, watch the short film that you’ll find there, and poke around the souvenir shops. I have also included a rest day at Trescadec, which I would use to take the ferry out to Île de Sein—the island to the west of Pointe du Raz. You could certainly shorten your trip by skipping the rest day and not dilly-dallying at Pointe du Raz. 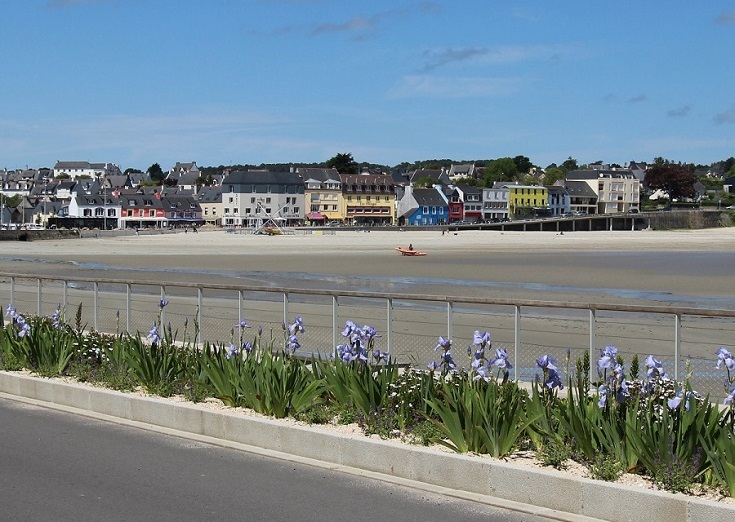 The last two kilometres (1.2 miles) from Trescadec to Audierne can easily be done on the last morning, on foot or by taxi (depending on your luggage), before catching the bus on to Quimper and wherever you are headed next. 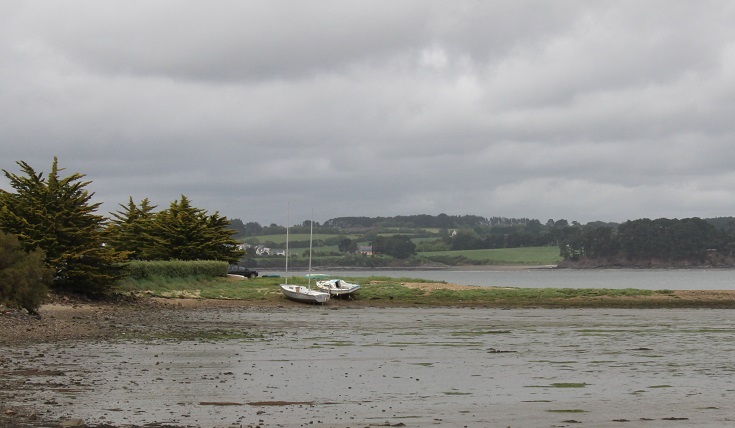 Day 1 Camaret-sur-Mer to Kerloc’h (15.1 km/9.4 mi). Day 2 Kerloc’h to Morgat (25.8 km/16.1 mi). Day 3 Morgat to Pentrez (23.2 km/14.5 mi). 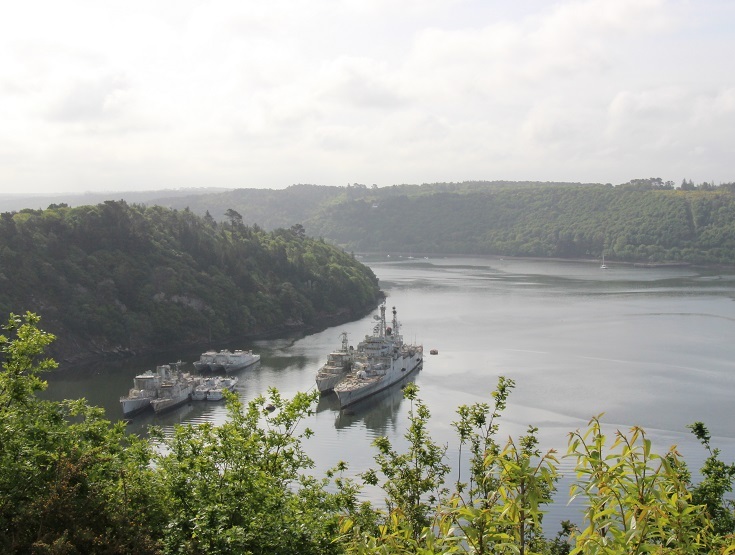 Day 4 Pentrez to Douarnenez (20.8 km/13 mi). Day 5 Douarnenez to Pors Péron (18 km/11.3 mi). Day 6 Pors Péron to Pointe de Penharn (16.7 km/10.4 mi). Day 7 Pointe de Penharn to Baie des Trépassés (12.8 km/8 mi). Day 8 Baie des Trépassés to Le Loc’h (14 km/8.8 mi). Day 9 Le Loc’h to Trescadec (10.6 km/6.6 mi). 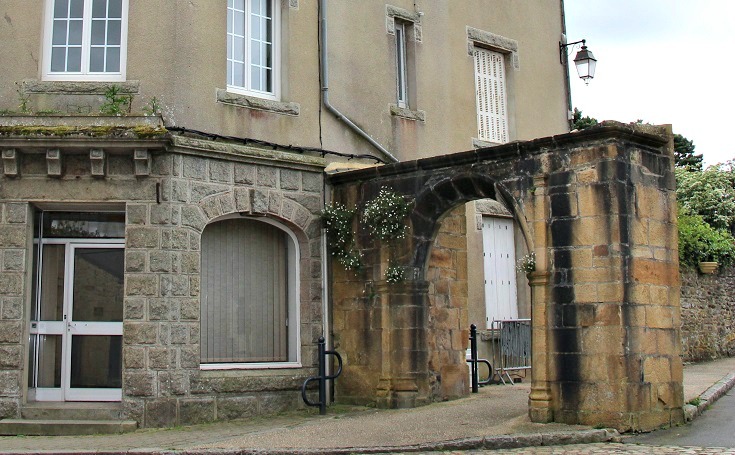 Day 10 Stay a second night in Trescadec and spend a day exploring Île de Sein. Day 11 Trescadec to Audierne (2 km/1.2 mi) and on to your next destination. 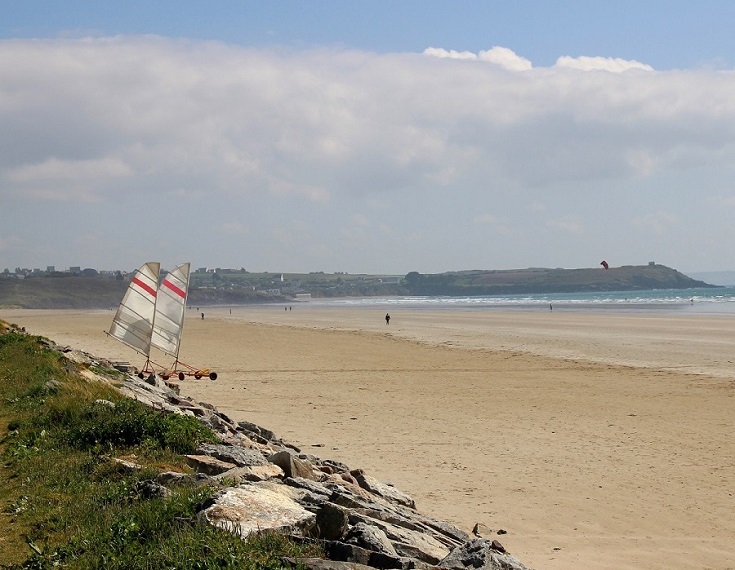 There is an abundance of campgrounds scattered throughout Brittany and the coast is a popular destination for French holiday-makers. But there are also lots of options if you are not carrying a tent. 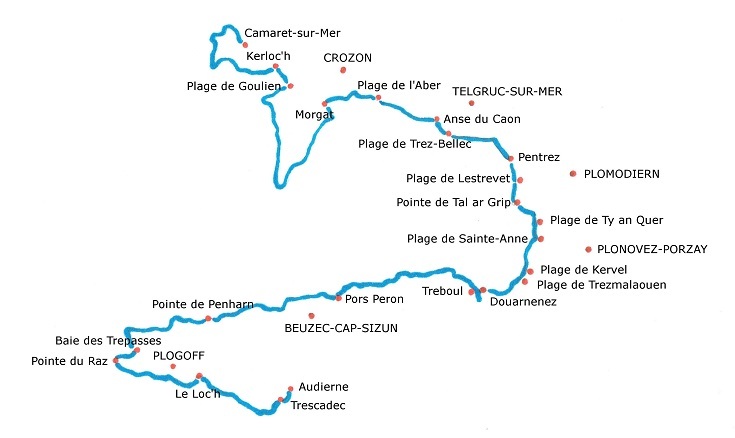 The longest section, from Plage de Goulien to Morgat, requires a walk of 23 kilometres (14.4 miles), but this could be shortened by taking a shortcut across the peninsular (see the map further down). 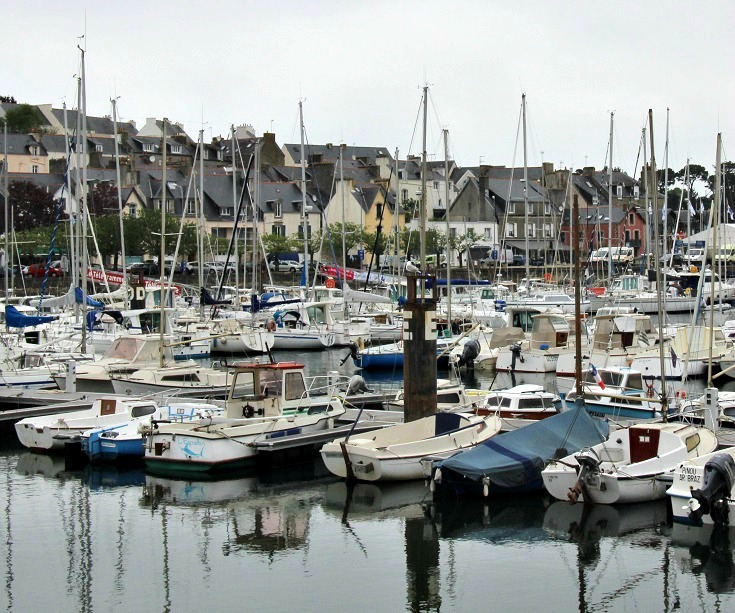 Accommodation is available in the following towns, with distances given from the starting point of Camaret-sur-Mer. Where is the coast of Brittany in France? 95 pages packed with dozens of photos, taxi phone numbers, links to accommodation websites and train and bus schedules, Tourist Offices, market days, where to find a pharmacy or an ATM, useful French phrases—and many more practical tips!